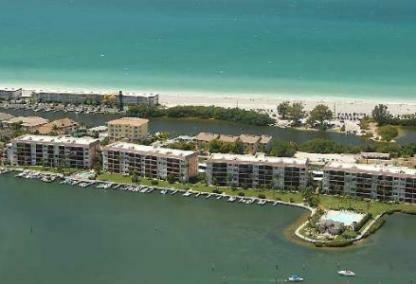 Sunrise Cove is a beautiful condominium complex located on the south end of Siesta Key. All of the one and two bedroom units in this complex have a beautiful water view. Amenities at this bayside resort community include an Olympic-sized heated pool with a cabana overlooking Sarasota Bay. There is also a small heated sun pool. The full amenities list is extensive offering plenty of options for residents to enjoy a resort lifestyle on Siesta Key in this socially active community. There is a marina within walking distance as well as three excellent restaurants. For convenience, there is also an on-site rental and management office. Units can be rented out for a minimum of one month, 12 times per year. Sunrise Cove is a hidden gem so be sure to check it out. The mainland is easily accessible via the south Siesta Key Bridge at Stickney Point for shopping and entertainment. The Village and Public Beach are also just a short drive.